I am a popular and in demand speaker, having spoken in locations as diverse as 10 Downing Street in London and the United Nations in New York. 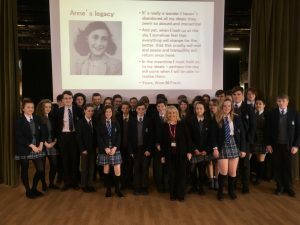 I can speak to large community, corporate and educational audiences on a range of topics connected to the life and times of Anne Frank and my 25-year experience of educating about her. I also offer lectures on fascinating social history topics. My talks and lectures are tailored for audience profile, nationality, age and time restraints. Usually 45 - 60 minutes in length, and given with a richly illustrated Powerpoint presentation. All talks, speeches and lectures can be delivered without images and can include a Q&A. The two lectures on Anne Frank's life and legacy van be combined into one. I have worked with the story of Anne Frank for 30 years, both in the UK and internationally, and have a unique insight into her life and times. 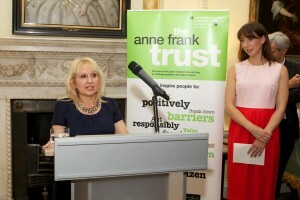 While building the Anne Frank Trust, I have been privileged to meet some of those who knew Anne Frank and who have quietly shared their personal memories with me, as well as hundreds of Holocaust survivors who had parallel experiences to those of Anne Frank and some of whom were with her in the concentration camps. I take the story of Anne’s life through her family background in Frankfurt, their flight to Amsterdam, Anne’s emerging personality as a popular and irreverent school girl, her desperation in hiding (as described to me by the family’s courageous helper Miep Gies), her physical and emotional transition into an adolescent and her developing moral framework, which has proved to be an inspirational to millions. I describe Anne’s tragic and poignant last days, including from first hand witnesses. Opening with an introduction to, or reminder of, Anne Frank’s life and death at the age of 15 at the hands of the Nazis, this lecture covers the remarkable story of how Anne’s magical thread has woven itself around the world. From the hard fought publication of Anne’s diary in 1947 (and how it so nearly didn’t happen), to the creation of the Anne Frank House in Amsterdam, and the effect of learning about Anne Frank on millions of people around the world, some in desperate and difficult situations. 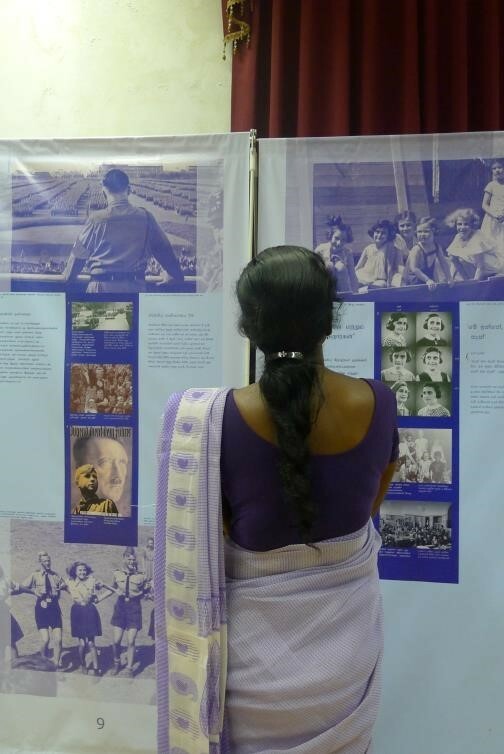 It contextualises the Anne Frank educational projects against the background of world history over the past 30 years and explains the impact she has had in some of the world’s most turbulent and violent regions. I will also talk about some of the remarkable people who have been involved in my work, including Nelson Mandela, UN Secretary General Kofi Annan, Steven Spielberg, A-list stars such as Audrey Hepburn and Angelina Jolie, music legends and royalty. There will be surprising insights into all these people and my encounters with them. I describe the unforgettable night attending the 1996 Academy Awards in Hollywood together with Miep Gies, the courageous helper of the Frank family in hiding. How tea drinking was first introduced into England, and how afternoon tea was popularised and became the social institution of the UK. Using vibrant on screen displays, this talk includes the introduction of delicious tea menu items; the customs and etiquette surrounding afternoon tea; examples of the finest silver and porcelain tea ware, and the rise of public tea rooms and tea dances. 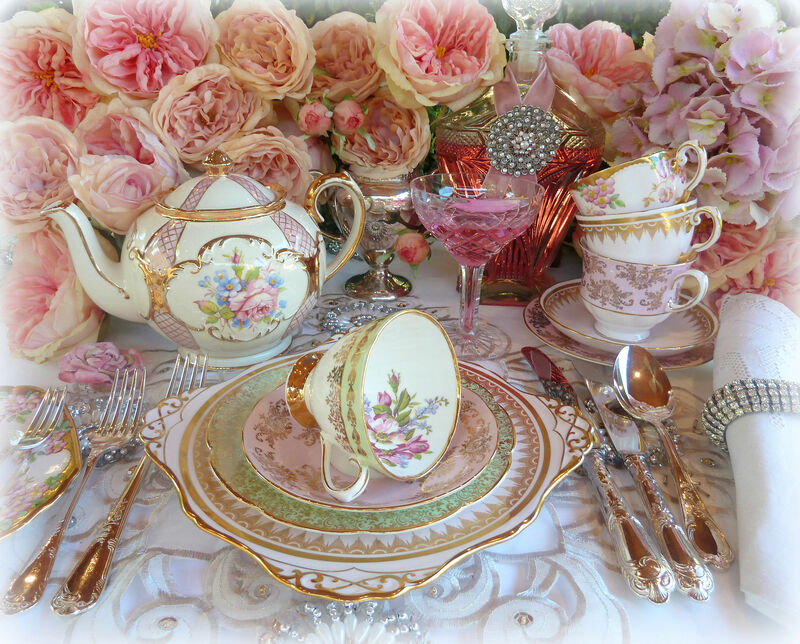 (During national Afternoon Tea Week, I was interviewed by six BBC radio stations about the history and etiquette of afternoon tea, as well as writing articles for newspapers and websites). 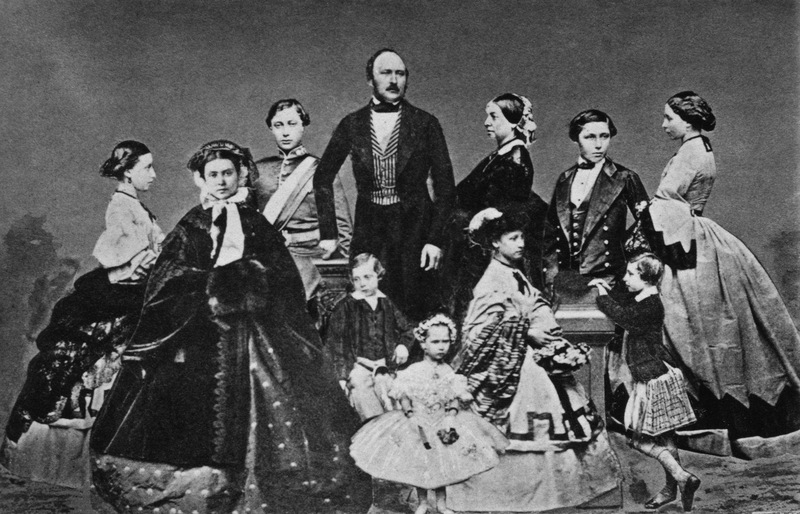 This lecture, explores how the European monarchies are interconnected, how they were created, their links to the British royal family through Queen Victoria, as well as focusing on some fascinating characters in the royal families of Denmark, Norway, the Netherlands and Belgium, past and present. Some inspiring, some controversial and some surprisingly racy lives are covered. This lecture explains the introduction of clothing suited to leisure, sports and holidays. We now take leisure wear as part of life, but how did informal and practical leisure clothing come about? As leisure time grew, and women could join men in undertaking sporting and leisure activities, clothing was adapted for both sexes. 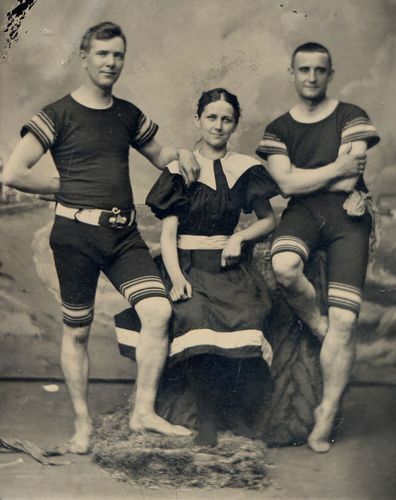 This lecture covers Victorian seaside and the earliest sportswear, the introduction of trousers for women, and the evolving of leisure wear throughout the 20th century. There are interesting insights for both men and women. 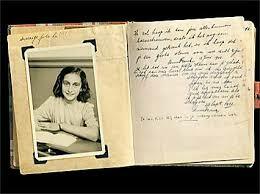 September 2018 Kent Women in Business - How did Anne Frank become what she is today?